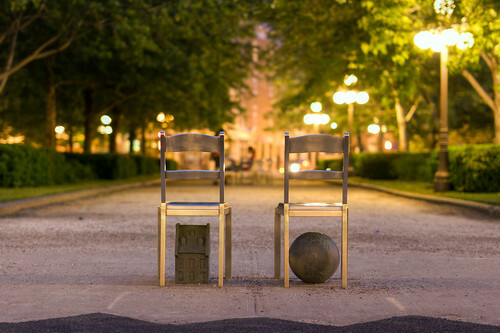 There is in old Quebec a sculpture made of many chairs, these 2 being at one end. I wanted to shoot it with major bokeh and the only combination was to use my Sigma 50mm at f1.4, and shootin from the middle of the road. Fortunately, not many cars go through that section! Dans le vieux Quebec, proche de la Gare du Palais, il y a cette pièce d'art constitué de plusieurs chaises; les 2 dans la photo étant à une extrémité. Je voulais la photographier en bokeh, j'ai donc du prendre la photo au 50mm @ f1.4, et me placer dans la rue. Par chance, cette section de sert que très peu, j'ai donc pu prendre la photo entre 2 autos. Beside some specific seats in our home, a large portion of our seat sitting time is spent on Office Chairs. This is one zone of seat structure and usefulness that has made its mark in the course of the most recent couple of years. In addition, it can likewise misshape and harm the saw by workaholic behavior the engine.